Durant says the film was an opportunity to try something new and show that there's more to him that simply being a basketball player. Add movie star to Kevin Durant's resume. 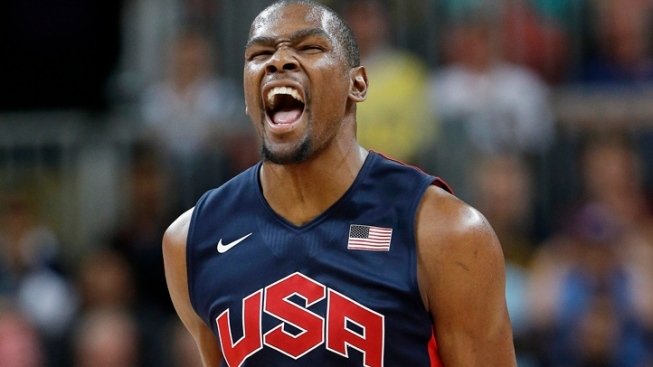 Kevin Durant is going from representing the red, white and blue to walking the red carpet. Adding to a resume that already includes being a three-time NBA scoring champion and Olympic gold medalist, Durant was the star as his movie "Thunderstruck" premiered in Oklahoma City on Sunday night. It opens in other theaters Friday.